In the year 2000, the US Surgeon General stated that the mouth is a mirror of health and disease in the body. Although many people know they should visit the dentist regularly, not everyone understands what a positive impact regular dental visits can have on your overall health. Making sure that you oral health is at an optimum level means that you are less likely to develop overall health problems. In addition, some dental conditions can be a signal that something is off with your overall health. As with any ailment, the sooner it is detected, the better. But, how exactly is our oral health related to our overall health, and why do they affect each other so much? 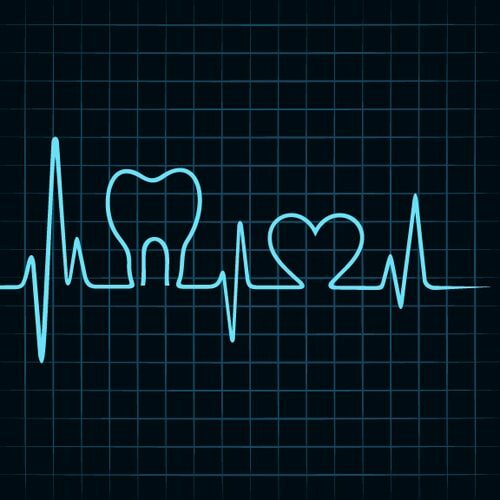 Although there is no concrete answer, research has led to two main theories on how oral health and overall health are connected. Both theories are centered around bacteria and its role in the body. The first theory focuses on the immune system’s response to bacteria. If you do not take care of your teeth, a buildup of excess bacteria can cause tooth decay and/or gum disease, which will then release more bacteria. Naturally, your body will respond by releasing antibodies, enzymes, and chemicals. Some of these substances have been found to cause heart disease or other health problems. The second theory focuses on the way bacteria can move around the body. Research has found that oral bacteria can travel successfully to other bodily tissues and cause infections in places other than the mouth. Again, not taking adequate care of your teeth and gums can possibly lead to infections in other locations such as your heart, liver, or gut. Gum disease caused by bacteria is probably the most prevalent issue that can have serious repercussions to your overall health. Fifty percent of Americans over the age of thirty have some form of gum disease. Gum disease can cause problems with diabetes, heart disease, and pregnancy complications. People with diabetes usually develop some form of gum disease as a result of not regulating their sugar levels properly. This is a vicious cycle, because bacteria in the mouth hinder insulin’s ability to regulate sugar levels and high sugar levels increase the risk factor for gum disease. However, getting one factor under control usually results in the other factor being controlled as well. It has also been found the gum disease and heart disease have very similar, if not identical, risk factors. Among these are smoking, obesity, and an unhealthy diet. Recent research has also found a link between oral inflammation and a higher risk of heart attack or stroke. This is because it is believed that oral inflammation also inflames the blood vessels. Finally, gum disease can be harmful to pregnant women. The general hormone changes that occur during pregnancy can cause the gums to become thinner than usual and at a higher risk for infection. Gum disease in pregnant women has been shown to possibly cause premature weight and/or low birthweight. Although the link between gum disease and pregnancy is not as strong as the former two, it is still important to see a dentist during pregnancy to take precautionary measures.